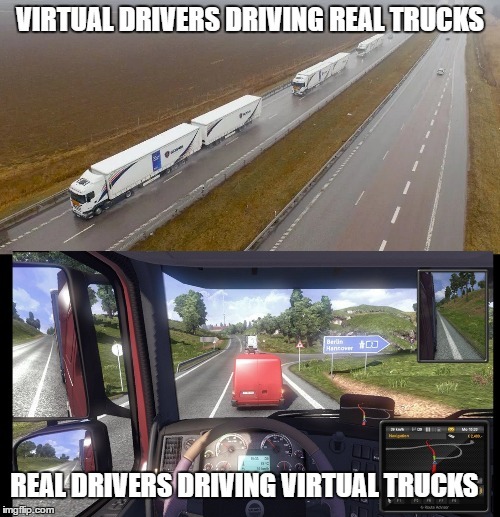 Virtual drivers driving real trucks and real drivers driving virtual trucks. Welcome to to the future. What could possibly go wrong?